Unfortunately, we're gonna have to wait a few more weeks before that tiny little beam grows enough to envelop us with its cooperative beauty, but in the meantime, we have a trickling of news to tide us over. First up is a brand new story trailer, detailing the exact reason you'll be mowing down cultists across Hope County, Montana. Besides that, we also have information on the post-launch DLC to tide us over. Not merely content to give us a few new story missions or weapons, Ubisoft has decided to go the Blood Dragon route again. The first of the three expansions, "Dead Living Zombies", will take you to *yawn* a zombie-infested wasteland. Luckily, the second and third expansions, "Hours of Darkness" and "Lost on Mars", will be a bit more unique. In them, you'll be traveling to Vietnam and the titular red planet, respectively. 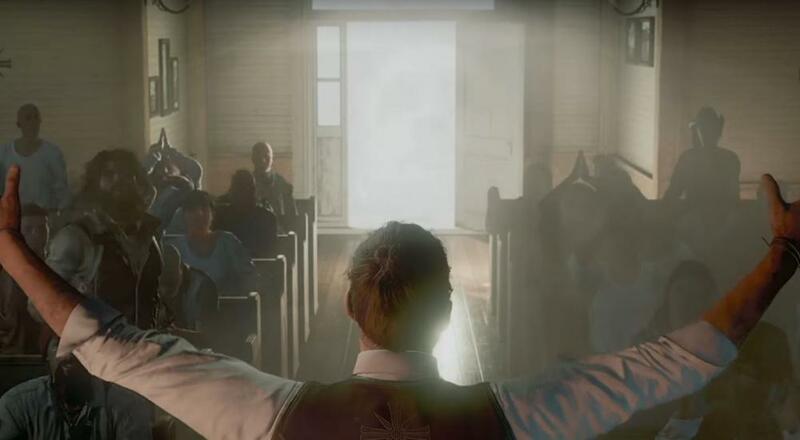 Far Cry 5 again features online co-op for two players and, upon release, will be available for the PC, Xbox One, and PlayStation 4.